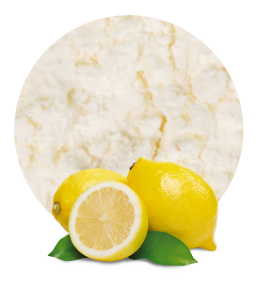 Our Lemon Powder is manufactured with different varieties of lemons (Citrus Limon) through a concentration and atomization (spray dried) process. The only ingredient which the Lemon Powder contains is lemon fruit powder. Once in the client’s hands, citric acid, which is an acidity regulator; enzymes, and tri-calcium phosphate (anticaking agent) may be added. The labeling recommendations for this product are lemon extract, or lemon fiber. Amongst the worth mentioning applications this product has, we may highlight fruit beverages, food industrial applications, bakery, dairy products, ice creams, soft drinks/drinks, ready meals, jams and syrups. Regarding the Lemon Powder’s taste/flavour/aroma, it is fresh, fruity and of lemon peel. Uncooked and off-taste can be accepted, and it is somewhat bitter. 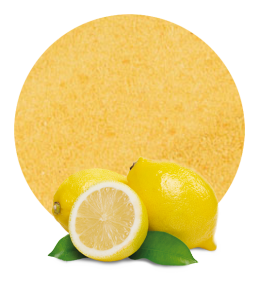 Lemon Powder is packed in a Triplex Food Grade bag of 10kg (net weight), and should be stored at ambient temperature, in a dry place which is not exposed to sunlight; 26 degrees Celsius should never be reached where the product is stored. Per 100 grams of Lemon Powder, there are 345 kcal, 0.7g of fat, 70.7g of carbohydrates, of which sugars constitute 4g; 28.5g of fiber, 4.58g of protein, and 0.18g of salt. 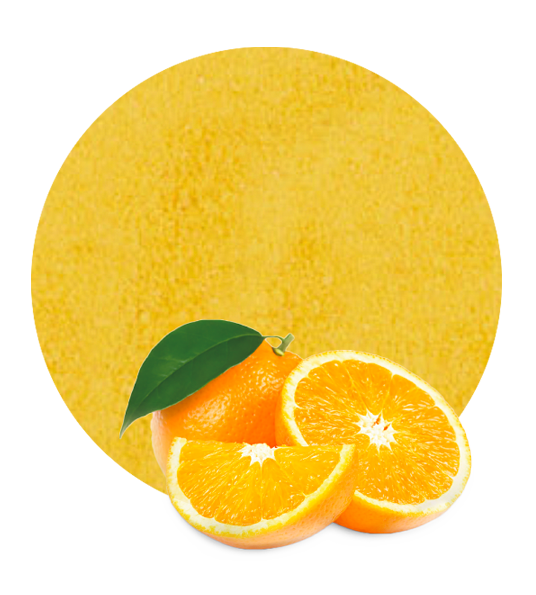 Lemon Concentrate is concerned with research and development, and with being able to offer innovative products in the global market. Thus, we have invested in infrastructure to release our new fruit powder product line. In addition to Lemon Powder, Lemon Concentrate is now ready to supply also orange powder; however, very soon we will be able to offer many other fruit powders. Our new fruit powder product line is just another example of our efforts to satisfy the fruit-processing manufacturers demand, and our ability to adapt to their needs. In fact, we have also released a brand new product line of vegetable and fruit purees, which we believe will be of interest to our current clients and the prospective ones.